It may be awards season in the entertainment world – yes, we all saw Kanye’s almost awkward moment, and who didn’t shed a tear at Eddie Redmayne at the BAFTAs? – but it’s also awards time closer to home. 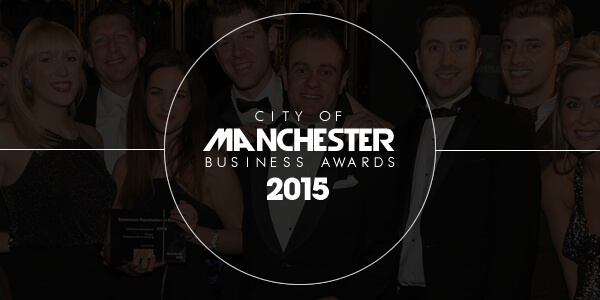 We are delighted to have been nominated for a City of Manchester Business Award, for the third year running! This year we are up for Employer of the Year. The nod could be for our unusual office (steam room, creche or gym anyone?) and extraordinary rewards (fancy hopping on a plane to Switzerland or Las Vegas? ), but we like to think it’s down to our culture. We work hard to keep our culture the same as it has been since the early days. We’re a family and all we do reflects that (now, it’s definitely time for a group hug). If you’ve been to visit us, hopefully you’ll know what we are talking about when we say culture. You’ll have experience the atmosphere and buzz that runs through UKFast Campus, and hopefully you’ll want to vote for us. If you do feel like casting your vote for us, you can vote here. While you’re there, there are loads of Manchester businesses up for different awards, so throw a vote their way too and let’s celebrate the awesomeness of this city! Security FAQ Series: What’s a WAF?